Stockholm is a world leader in environmental technology and now it will be easier for foreign investors to find partners in Stockholm. “Stockholm Cleantech Hotlist” is a toplist where the region’s hottest investment opportunities are presented to investors. At launch, the list contains 25 companies. 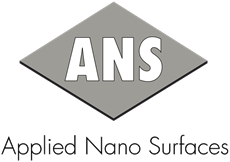 Applied Nano Surfaces is one of them. – With the “Stockholm Cleantech Hotlist” we offer a quality stamp. There is a great interest in the region among foreign investors, we have a strong reputation in the scientific community and a lot of exciting companies. The list makes it easier for those who are looking for investment opportunities, says Janey Mehks, Project Manager Cleantech at Stockholm Business Region Development. Read more here.